Welcome to the William A. Karges Fine Art Blog, where you'll be able to find information about Early California and Southwest Paintings, including Museum Exhibitions, Current News, Events, and our gallery's new acquisitions of original paintings created between 1870 and 1940 by a wide variety of Early California and Southwest Artists. We'll feature biographies, photographs, links to websites of interest to collectors, video tours, and detailed histories of some of California's most influential and intriguing artists. Special note to our readers: The Laguna Art Museum has generously offered to provide two free pairs of day passes to their wonderful facility to the first and second readers who post their comments below. We’ll contact those readers directly to request their mailing addresses so that the passes can be sent to them by the Museum. The first exhibit is a retrospective of the work of 20th century artist Clarence Hinkle, whose student, Millard Sheets, became one of the best known watercolorists in the Early California Art genre. To view additional examples of this artist’s work, click here And, check out photographs of the exhibit of the museum's Flickr page here. 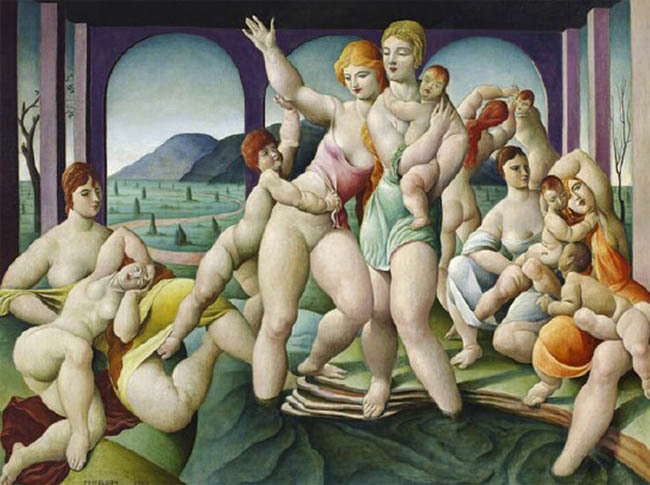 The next exhibit not to be missed is titled “Modern Spirit and the Group of Eight”, which provides a fresh perspective on the art and culture of the 1920s in Los Angeles. 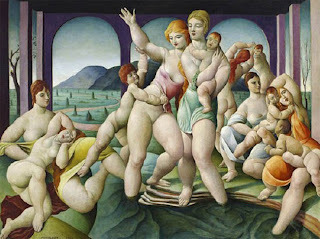 Paintings by Mabel Alvarez, Clarence Hinkle, Henri De Kruif, JohnHubbard Rich, Donna Schuster, E. Roscoe Shrader, Edouard Vysekal, and Luvena Buchanan Vysekal provide a pictorial description of the Modernist Realist trend that was popular during that period in history. Click here to view a very informative group of videos on the Laguna Art Museum’s YouTube channel about this exciting display of paintings. Also currently on display, continuing through October 28th, 2012, is “Abstract Classicists”, a group of paintings from the museum’s permanent collection. The featured artists include Karl Benjamin, Lorser Feitelson, Frederick Hammersly, John McLaughlin, Florence Arnold and Helen Lundeberg. 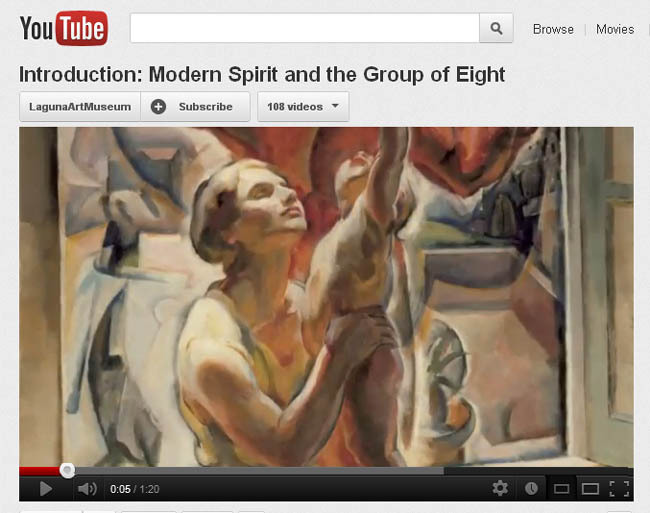 For additional information, directions, and hours, the museum’s full website can be found at www.lagunaartmuseum.org. Their address is 307 Cliff Drive Laguna Beach, CA 92651, telephone: (949) 494-8971. I'm so happy to see an exhibit of historical art at the Laguna Art Museum where there is usually so much contemporary and avant garde art. Thanks for this information. Nicely symmetrical tree. Nature is symmetrical of course, as Leonardo Da Vinci, who knew a thing or two about symmetry, showed in this beautiful drawing, http://EN.WahooArt.com/A55A04/w.nsf/OPRA/BRUE-8EWLAW . It can be ordered as a canvas print from wahooart.com. In a way, for an art-lover like myself, decorating our home is quite easy. I just please myself mostly, with my poor husband going along with most of my choices. I am always collecting beautiful things, like handicraft decorative pieces, little sculptures and hangings. And I simply hang lovely paintings in all our rooms. Not all are originals of course, as who can afford many of those. I order many prints on canvas from wahooart.com who have a vast collection of images from Western art, that you can choose to make economically-priced prints like this Interior in Aubergines, by Henri Matisse, http://en.wahooart.com/A55A04/w.nsf/Opra/BRUE-5ZKCMX, from there. I can choose the frames as well and my orders are delivered quickly to my home. With gallery locations in Los Angeles and Carmel, Karges Fine Art specializes in assisting private collectors seeking original museum quality Early California paintings created between 1870 and 1940. Internationally recognized as a leader in the sales, purchasing, and consignment of fine works of art, our staff looks forward to sharing with you our knowledge and enthusiasm for the paintings from this remarkable period in art history. I have been the director of William A. Karges Fine Art since 1988. 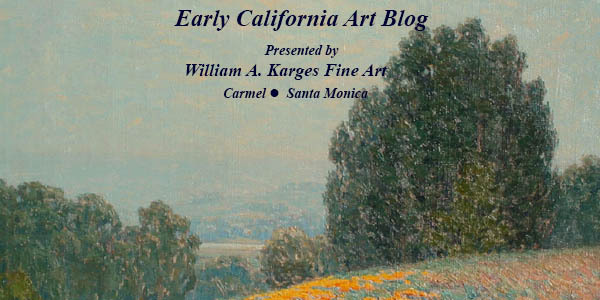 William A. Karges Fine Art is considered by many to be the leading gallery in the nation that specifically specializes in paintings done by late 19th & early 20th century California artists. During this period, I have bought and sold literally thousands of paintings. I am considered one of the leading experts in this field, especially in regards to current market conditions, and have appraised paintings for both private collectors and major museums. I am frequently contacted by the leading auction houses for my opinion on current market conditions and authenticity. I have served as the President and Vice-President of the Historical Collections Committee of the Laguna Art Museum and as the Program Chairman and Treasurer of the American Art Council of the Los Angeles County Museum of Art. I have also participated in a number panel discussions, symposiums, and lectures as an expert in early California art and have produced five major monographs on certain early California artists. In addition, I have consulted on virtually every museum exhibition that features the artists from the above period over the last twenty years. I am also acknowledged in virtually every museum publication that highlights early California artists during this same time span. Patrick Kraft was born in Los Angeles in 1957. For 26 years Patrick’s father, William Kraft, was head percussionist for the Los Angeles Philharmonic Orchestra as well as composer-in-residence and for two years, Assistant Conductor. Patrick received a D.E.U.G. I degree from the Universite de Poitiers, France in l978 and his B.A. degree in European History and French from UCSB in l979, followed by an MBA from the Monterey Institute of International Studies in 1981. In 1987 Patrick was hired by William Karges to open William A. Karges Fine Art in Carmel and has been the Director of the Carmel gallery to this day.